Everyone loves their Mom and think their mother is the best Mom in the world. Of course, that isn’t true. MY MOM was the best Mom in the world! Seriously, this tribute to my Mom comes over 38 years after her death due to a tragic farm vehicle accident when I was only 13. Unlike the tribute I wrote about my Dad, who turned 80 earlier this year, my memories of my Mom aren’t nearly as extensive. But, in that short amount of time while she was with us here on Earth, she made her presence felt and her memory still lingers in the hearts of not only myself and my family, but also many who knew her. 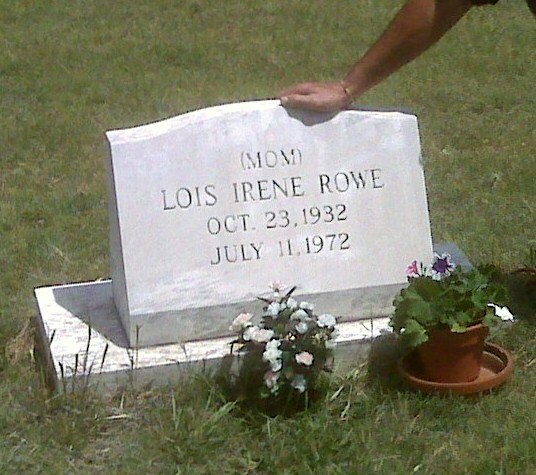 Even today, nearly FOUR decades after her death, people who knew her in the little town of Tribune, Kansas for her entire life, still speak highly of her in so many ways. My older sisters can probably share more memories than I since I was still quite young when God took her to Heaven to dwell forever. The main thing I remember about my Mom was her indomitable spirit, strength, and resolve. Her life was ENTIRELY about character and heart. Nothing would compromise truth when it came to her, whether it was with my shenanigans as a young boy or with her friends and acquaintances. And if you crossed that line, she wasn’t shy about letting you know. She was also a taskmaster, and ran a “tight ship” in our farm house where I grew up, all 8 of us; Mom, Dad, Stephanie, Lissa, Casey, WenDee, myself, & Mona. I remember one routine in particular. The dishes after supper. She would assign one child to clear the table, one to wash, one to rinse, one to wipe-dry the dishes, and one to put them away. The reason there were only FIVE assignments is because I think she finally gave up trying to enlist child #6, my little sis Mona in the routine, mostly because for some reason, Mona just HAD to “go to the bathroom” to do her business when this nightly ritual began. Ironically enough, Mona’s timing was always magically impeccable. She would be done with her “bathroom business” juuuust as the last dish was put away! I think Mom was just amusing her, she wouldn’t have let the rest of us get away with that, especially the older ones. The rest of the time, we all knew what our jobs were around the house, having those assignments drilled into us until I’m certain we could have done them in our sleep! There was one job I was particularly proud of being assigned to. Taking out the trash. It gave me the opportunity as the only boy to explore outside and see what kind of mischief I could get into. In other words, goof off. One time though, taking out the trash turned into quite a disaster. On our farm, we always burned the trash in these large 50 gallon drums with one end cut out. Sometimes, especially when the wind blew or if the trash was wet, getting it to burn in the proper manner a pyromaniac like me preferred presented a problem. Not so when one has easy access to dry and dead “tumbleweeds.” Those babies can burn! Trouble was on this particular day, the tumbleweeds decided to take flight out of the trash barrel after ignition. Next thing I know, the shed where Dad housed his hogs was ablaze, Mom was chasing me around the farm with a pitchfork threatening me with my life, and it seemed like every fire truck in Western Kansas was on our little farm. Gratefully, the firemen got the fire put out before any real damage was done but I sure thought my goose was cooked. I’m happy to say I survived this episode. I even went to bed REAL early that night before Dad got home from his day’s work so I wouldn’t have to face him, though I do remember him popping his head into my room that night. Instead of yelling at me all’s he said was, “Well, I guess you learned your lesson, huh? Night son.” Boy, talk about a sigh of relief!! Mom didn’t back down to anyone when it came to positions she felt strongly about. Though she wasn’t an “educated” woman in terms of schooling, having gotten married when she was only a junior in high school, my Dad says she’s still about the only person, let alone a woman, who could go toe-to-toe and hold her own in a debate with a local farmer and cattleman. He had the good fortune of a lot of formal education and many years later became my first boss at the bank in Tribune in 1985. I admire that trait in her as much as any, since I’m known for engaging in a debate myself! She especially enjoyed having friends over while I was in school and I remember many times getting off the bus when I came home after school to find her “holding court” at the kitchen table. Things would get especially animated when her good friend “Imy” Kuttler was visiting. Those were times when the wine was flowing quite liberally and you couldn’t get a word in edge-wise or cut the air from all the cigarette smoke floating in the air. I’ve depicted a person who would appear to the reader as one who was strong-willed, opinionated, a disciplinarian, maybe even a little harsh at times. Mom was all that but so much more. She was incredibly loving, full of heart, tender, and thoughtful. Christmas was always a joyful time in our home and Mom would go to great lengths, in spite of our meager existence and lack of money, to make it the best possible experience for her children. I’ll always treasure those moments. She loved tending to her garden, flowers, and raising a lot of our own food. She would spend days canning food for the winter. Of course, the garden was another of those assignments for us kids, each of us had the responsibility for taking care of certain foods. I always enjoyed the spring when I got my favorite assignment, planting sweet corn! The final thing I’d like to share about my Mom may seem innocuous to some but it really resonates in my soul for some reason and that’s “Mimi”, one of the dozens of cats we had while I was growing up, not to mention our dogs, especially the three I remember best, “King” the Australian shepherd, “Queenie” the collie, and “Princess”, a dog found in a farm field by my Grandfather Rowe and one everyone was convinced was half-coyote, simply by the way she looked and the way she ran after rabbits. But it was Mimi that, for whatever reason, found a special place in Mom’s heart. One thing you should know is Mom NEVER allowed pets in the house and I mean NEVER. But Mimi was different. I remember the moment well early one morning. I woke from the second floor of our old farmhouse to the smell of bacon wafting up the stairs. I crept down slowly and was the first one in the kitchen where Mom stood over the gas stove in her nightrobe, preparing breakfast for all of her children before school. I remember this moment because in the large front pocket of her nightrobe was Mimi. The smell of bacon was pungent in the air. She reached to her left where she had placed some freshly-cooked bacon to cool, picked it up, and slowly brought it near her front pocket. Mimi’s little head appeared, her little nose sniffed, she grabbed it gently with her mouth, and disappeared again into Mom’s pocket. 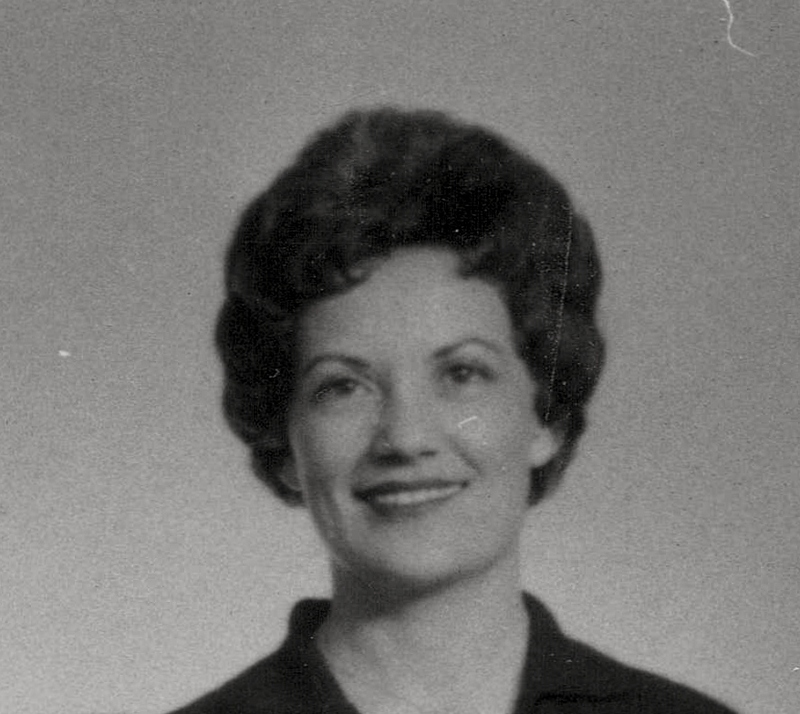 That was Mom, a woman ENTIRELY about HEART and CHARACTER. You can help continue this mission and adventure with your voluntary support by clicking the button below. Any love offering you can give is greatly appreciated. If I add value to your life, please don’t hesitate to use it. Thank you.